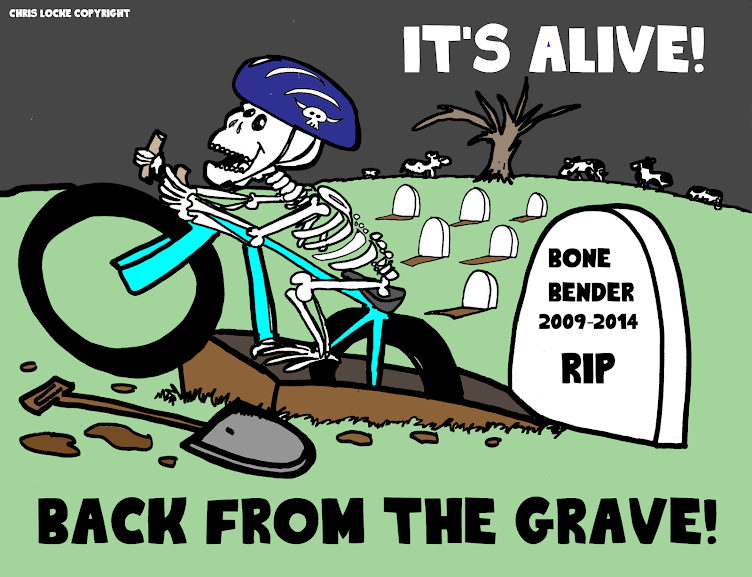 The Sixth Annual BoneBender MTB Challenge has been RESCHEDULED TO SATURDAY APRIL 12TH. Please read below for details on changes and the new race day schedule. As the race weekend approaches we have received many questions about a rain plan for Bone Bender. Of course the safety of our racers and volunteers is our number one priority, and preserving the quality of the trails follows at a close second, so we have been following the weather conditions very closely and weighing our options. I am sure we all agree that while rescheduling a race is never ideal, sometimes it is necessary, especially when the safety of our racers and the quality of the trails is placed in jeopardy. With that in mind we also want to be considerate of the many people who have taken time off for this event, and are traveling from out of town in order to compete in this great event. After looking at many options, we have decided to change the date and time of the race to Saturday, April 12 @ 1pm. This way we will be able to run the race course as mapped and take advantage of the better weather, as well as hopefully working with the travel plans of as many racers as possible. For those of whom this is not an option, we understand, and you can request a full refund until Friday, April 11th @ 10pm. Contact- wheelforceone@gmail.com to request a refund. A USAC race license is required to participate in this USAC event, and will be available for purchase at registration. Packet pickup will be Friday, April 11 Noon to 8pm @ The Wheel Cyclery. We apologize for any inconvenience that this change may have caused. We appreciate you understanding in our need to keep everyone safe and the trails unharmed.